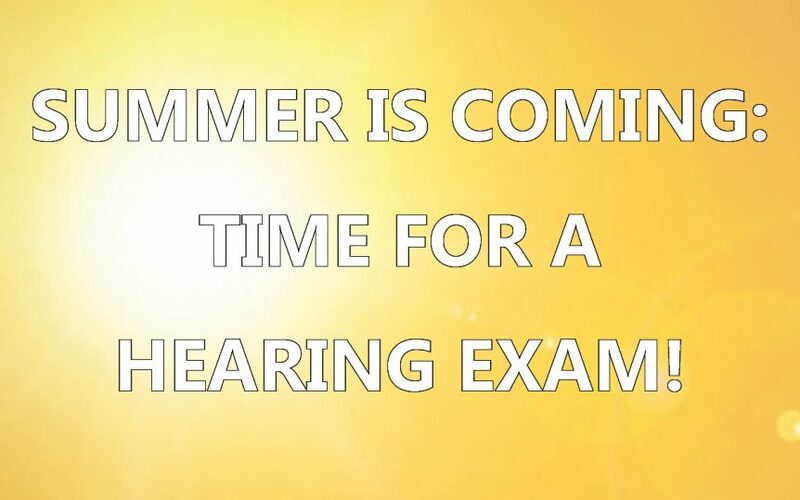 Summer is Coming and It's Time for a Hearing Exam! Summer time is coming! Are you ready to enjoy summer fully? 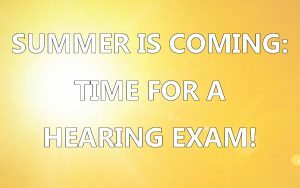 Schedule your free hearing exam to get ready for summer fun! Summer is coming! Cue the warm feelings of nostalgia surrounding summer camp, road trips, rustic cabins, and delicious backyard food! As our busy season in Southwest Florida comes to a close, we would like to encourage our hearing healthcare patients and community members to do a few things before you start to embark on your summer adventures. First, as always — schedule a free hearing exam. Then, plan for a great summer! Where ever this summer takes you, we would encourage you to start your summer off right by getting a hearing exam and test and make certain you’re prepared for all the summer holds! Schedule a clean and check appointment to make certain your devices are operating in tip-top fashion. Purchase a good amount of wax traps in order to keep your hearing aids working properly the whole summer through. Make certain you have the right number of batteries for any lengthy trips you might be taking. Consider purchasing a hearing aid dry box in which to store your hearing devices. This will keep your hearing devices free from humidity. Summer is coming — in fact, it’s right around the corner. Summertime is the best time of year; it’s perfect for adventuring, trying new things, taking trips with family and friends, and enjoying amazing weather. And, many of us also enjoy freedom from the day-to-day busy-ness we experience during the year. It’s the ideal time, also, to make a list of everything fun and/or task-oriented you want to do or accomplish during the summer! (Also known as a summer bucket list.) This can include new restaurants to try, places to visit, closets to clean out, and projects to finally finish. It *could* also include scheduling a free hearing test at Decibels Audiology and Hearing Aid Center! And, why not? The month or two going into summer time is often a bit less stressful in terms of events and commitments. It’s the ideal time to get an accurate understanding of your overall hearing health and wellness. At Decibels Audiology and Hearing Aid Center, we love our patients, and we love our community. We want to serve our patients and meet their individual, unique needs in order to build a better community here in beautiful Southwest Florida. So, call us today! We would love to get to know you and schedule a free hearing exam for you at any one of our three convenient locations!